The chakras are an ancient model of the energy system that originate from Tantric philosophy. Chakra is a Sanskrit word meaning “a wheel, a disc, or any arrangement in circular form or organization.”. Your chakras are spinning vibrating circles of energy that appear as wheels in your body – they connect your physical, mental, emotional and spiritual bodies. The chakras have been studied as a model of human development and the understanding of the unfolding of our relationship between our spirit and our conscious ego. The word chakra is also a metaphor for the sun, the great wheel in the sky that moves like a blazing chariot across the sky. Chakras represent the eternal cycle of time, order and balance. The way that the chakras are usually described are as generators of energy within the auric field. They are the place where our primal divine energy enters and manifests into form. The chakras are energetic centers that are aligned with a certain part of your body and hold symbols, colors and vibrations that can bring your mind and spirit into a state of transcendent health. Your chakras are subtle energy fields, they are active at all times and are the centers where your physical, mental, emotional and spiritual bodies come together. Prana is the force that keeps energy circulating through them. Your chakras form the spine of your subtle body and connect you both with the essential connection we have through movement to mother earth and to our divine heavenly father. In this way healing your chakras brings you into deeper harmony with the divine masculine and feminine energies that both create and shape your world. They form a bridge of light in between the divine before it comes into form in our physical bodies. Each chakra also mirrors every feeling, thought, action and experience. Our chakras are reflections of our environments, culture, and our personal experiences. The holistic nature of the universe is reflected beautifully within each chakra. In Tantric philosophy, each chakra is a microcosm of the greater universe that it resides within. Each chakra is both a reflection of the universe around it and a universe in and of itself. Your chakras are in divine communication with one another at all times through a vibrational process of receiving, encoding, sending and deciphering energetic frequencies. If one chakra is unbalanced, other chakra centers will adjust to compensate. Your chakras hold energetic imprints of experiences from your past and the pasts of your relatives and ancestors. They hold repressed emotions, desires and dreams and energetic imprints from other people. They regulate functions of key physical organs & systems, emotional actions and reactions. Your chakra centers are both a place to move into deep unity with the divine and with your own physical and emotional bodies. By moving into a deeper relationship with your chakras with the practices in this book, you will move into deeper alignment with your essential intended nature as a divine being of light. The purification of your chakras is the first step to transcendent health. The deities and symbols I share about each chakra allows us to dive into a deeper awareness of the essential energy of this chakra, as it was first recorded about 800 years ago. I’ve found that the information out today on the chakras often simplifies the meaning of the chakras in a way that does not address much of this original wisdom. There are seven major chakras typically discussed in chakra texts. However, in recent years, meta-physicians and mystics have begun to write about additional chakras called transpersonal chakra that exist outside of the body that were identified in ancient spiritual texts. When chakras move outside of the body there begins to be a lot of difference in the names and order of the chakras. However, they all outline a progressive energetic portal to God. I’ve put together my best attempt at understanding the order of the 12 major chakras. There are many other minor documented chakras in the body, all lying along meridian lines. As you cleanse and balance all of the chakras within your body, it is natural for your energy field to expand and to become aware of the different fields of energy surrounding you. Through clearing and balancing our chakras we can participate in our own healing and simultaneously assist in aligning with the vibrations of light needed to illuminate the planet with love. This list is just a beginning point, I provide the common name for each chakra, the Sanskrit name (when available) and the location of the chakra. Each chakra should be worked with individually using color, meditation and sound to bring unity to all bodies within your energy field. * The listed names are not widely accepted names for these chakras. All of the chakras that exist outside of the body are called by different names in different texts, so it’s not as important to memorize the names as it is to begin to understand that the field of energy between your cells and God exists and has been defined. By specifically working with each of these chakras you can begin to open yourself up to higher and higher dimensions of reality. 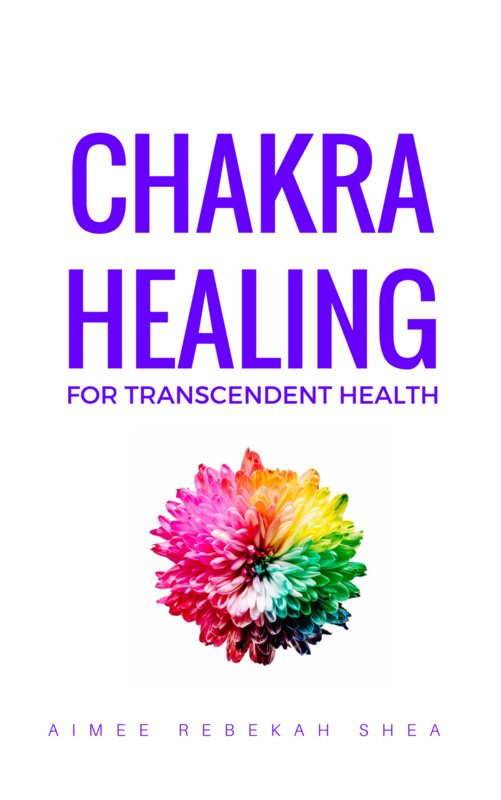 This post is an excerpt from Indigo International’s first published book, Chakra Healing for Transcendent Health.